There have other name like grouted pile and drilled pile and different languages and regions of the world also named piles in hundred ways. 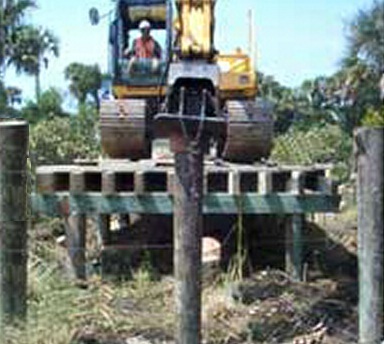 In case of piling in sandy soils, friction developed around surface of the piles developed main capacity to the piles. In case of piling in clay soil, the capacity of piles are expected to develop from both wall friction between soil and pile surface and capacity that developed at the tip of pile (end bearing) in a more stable or competent stratum. This is a point at which level piling operation can no longer be continued into the earth without lifting or breaking the structure above. A lighter structure, as it has less weight, it reaches point of refusal at a relatively shallow depth. A heavy structure, as it is relatively heavier, it attains its refusal point at relatively deeper point so that it reach hard strata or rocks or it have combined or isolated action of skin friction enough to support heavier loads. It should be noticed that a point of refusal in wet condition is not the same as it in dry condition.